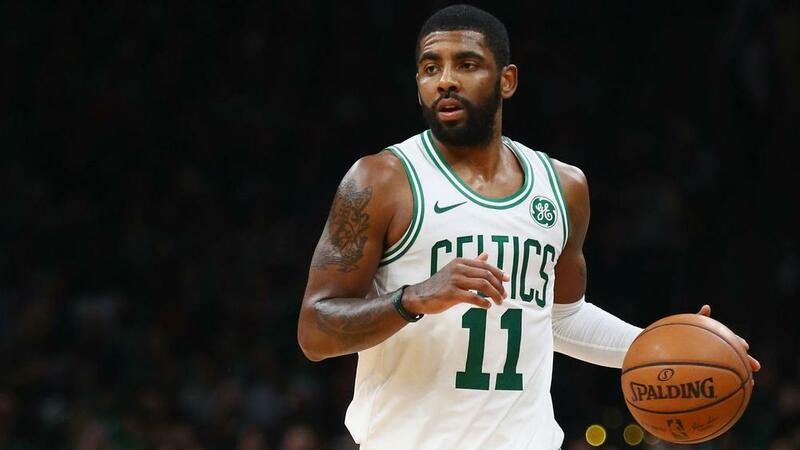 Boston Celtics point guard Kyrie Irving has distanced himself from his previous comments about re-signing with the franchise. Irving will be one of the top free agents on the market if he opts out of his contract at the end of the season. Reports have linked him with a potential reunion with ex-Cleveland Cavaliers team-mate LeBron James at the Los Angeles Lakers for 2019-20, while teaming up with Kevin Durant at the New York Knicks - who the Celtics face on Friday - has also been suggested as an option. Irving signalled his intent to re-sign with Boston prior to the start of the campaign, but when asked on Friday if his mindset had shifted he responded: "Ask me July 1 [when free agency begins]." On whether there had been a change in his outlook, Irving said: "I'm just going to do what's best for me, that's what it really comes down to. "Obviously it's become like an entertainment thing for everybody…I'm not worried about a reputation, not worried about a legacy to leave, I'm just trying to be a human being, trying to make the best decision for my family." Irving reiterated family will come first in any decision he makes, adding he does not "owe anybody s***". "I think it was just the excitement, feeling emotionally invested coming off an injury last season and trying to prove something, trying to be a team-oriented player, which I am naturally," he said of announcing his desire to stay in October. "But at the end of the day I spent the last eight years trying to do what everybody else wanted me to do, in terms of making my decisions and trying to validate through the media, through other personnel, managers, anybody in this business and I don't owe anybody s***. "I think with the confidence I have in myself and my abilities, I want to be able to control what I want to control." Irving is averaging 23.7 points and 6.9 assists per game this season, his second with the Celtics.